Roads & Infrastructure Australia is the country’s leading specialist road management, construction and infrastructure magazine. The magazine is distributed to over 5500 key decision makers in the $100 billion + roads and infrastructure industry, as a central tool used in making purchasing decisions. Roads & Infrastructure Australia magazine is a leading resource within the Roads, Infrastructure and Civil Engineering professions in local and state government sectors, as well as consultants and contractors within the private sector. These industry professionals play a key role in many areas, including road construction, road safety, asset management, water and stormwater, parks and gardens. 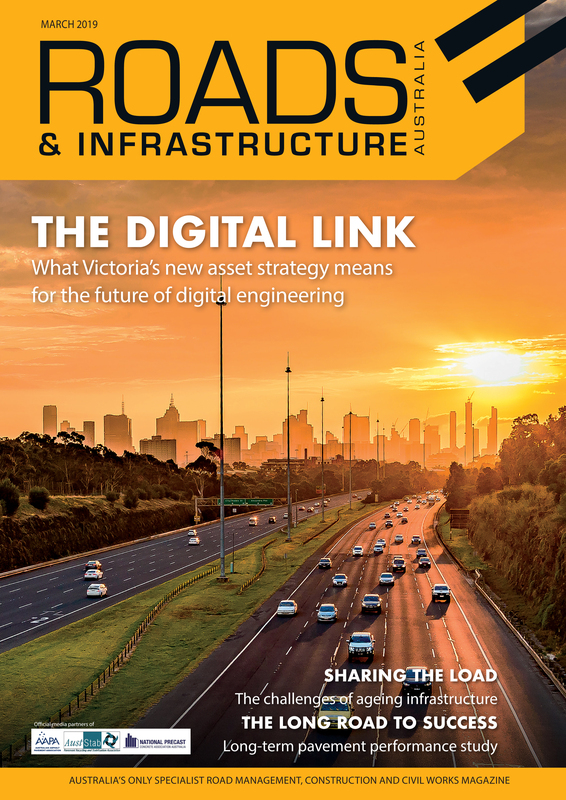 The magazine is also read by Civil Engineers and Infrastructure Specialists across Australia, who are involved in decisions about plant hire, workplace safety, streetscapes, lighting, road maintenance and wastewater. Up Front: In-depth features exploring the nuances of breaking issues in the industry. Our journalists conduct direct interviews with industry and government leaders to uncover what the latest developments will mean to our readers. Project Report: Summary of the latest large projects around Australia, as well as case studies of major projects. Asphalt News: The latest in road construction and maintenance, asphalt technology and innovations driving the Australian pavements industry, including the regular Site in Focus feature and updates from our association partner Australian Asphalt Pavement Association (AAPA). Association Partner Segments: Our industry association partners AustStab and National Precast Concrete Association Australia provide the latest updates and information relevant to their respective industry sectors. Bridges: An in-depth look at major bridge projects and upgrades around Australia. Safety: An overview at the latest rules, regulations, technology and ideas that are making our roads safer and influencing how they are managed. Technology: Profiles of the latest technology to hit the market, including case studies of how that technology is changing the nature of the field. Flashback: A look at some of Australia’s most iconic infrastructure, how they were built and the lasting legacy they have had on the industry. These articles are all posted online in digital format, and can be searched via this web site.